We are glad that you are interested in learning more about Life Groups at Lighthouse. 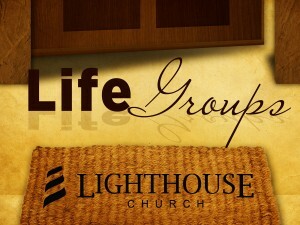 Life Groups create and provide intentional space for the church family to “do life together” beyond Sunday mornings. Our Life Groups walk out the rhythms of worshiping together, doing life together as the family of God and serving together as the Kingdom of God. Each group is unique and they are formed in many ways. Some groups are formed based on a shared season of life, common interests or even location. Some groups meet together every week and others meet every other week. But each group values the rhythm of gathering together frequently. We believe that Life Groups are a great place to intentionally walk out the discipleship journey through relationships with other followers of Christ. We believe you will be blessed as part of a Life Group and we encourage you to join one. You are welcome to contact a leader directly for questions about their group. We have included their general meeting times and locations. For further information on our Life Groups, please contact Dusty Bryant, Life Groups Pastor, at dbryant@lighthousechurch.net or you may also fill out the form below. Please help us get to know you a little more and to help you connect with one of our Life Groups. Please check all of the attributes that interest you the most as you look to connect with a Life Group.